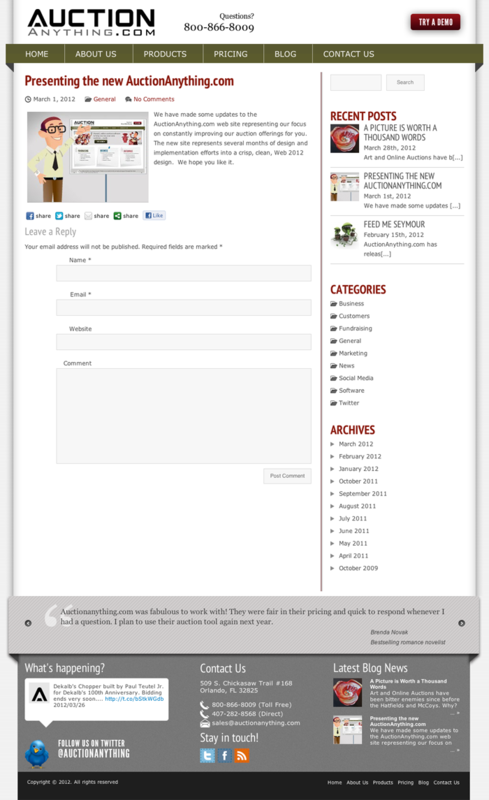 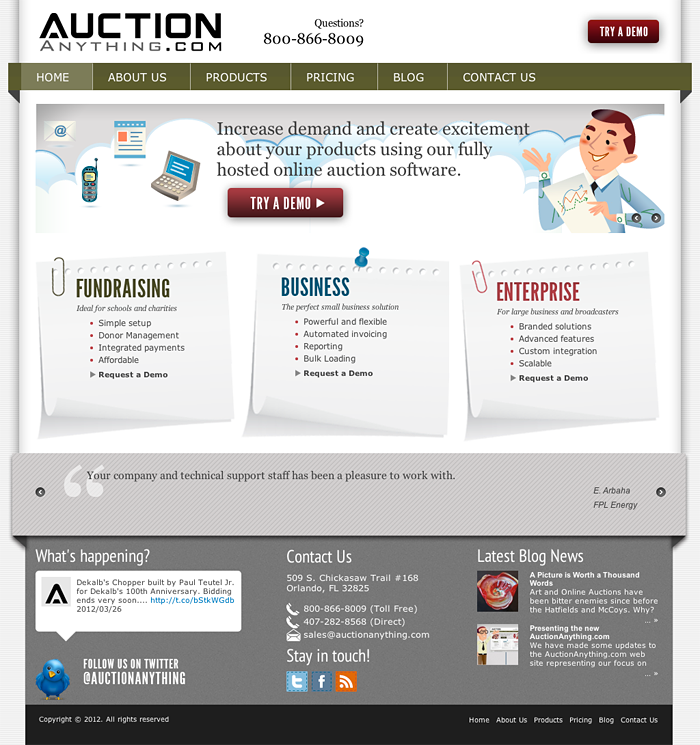 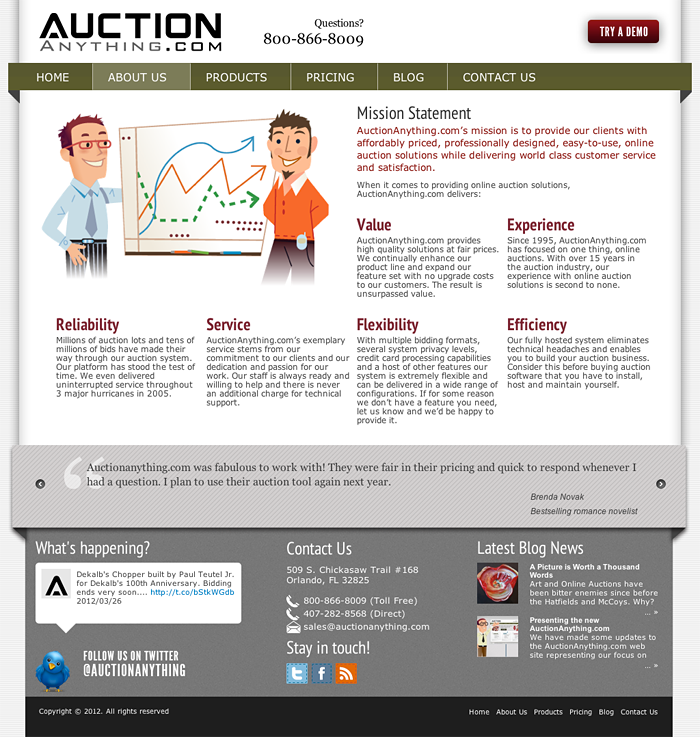 Auction Anything sells online auction software used by schools, corporations and non-profits for fundraising events. 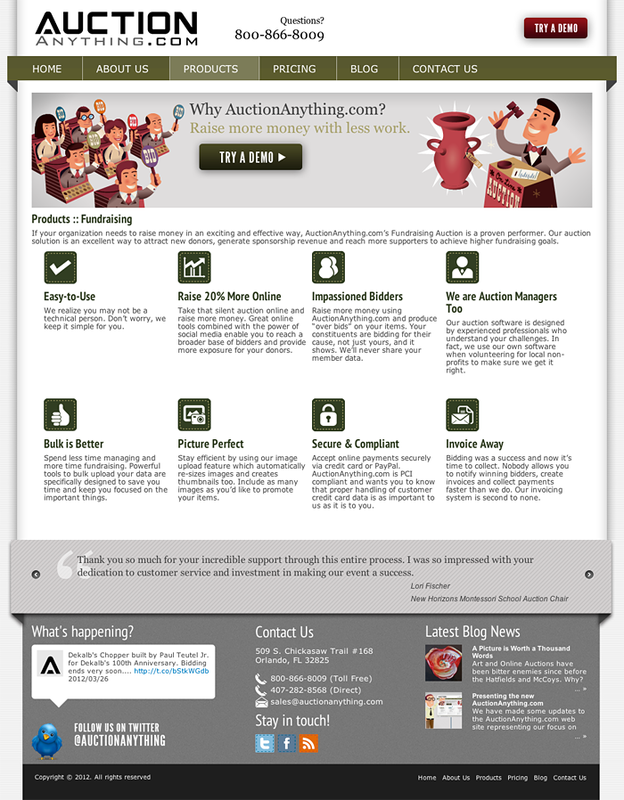 Their site needed some marketing work and more entertaining imagery to appeal to their audience and make them stand out amongst competitors so we designed a new one in WordPress. 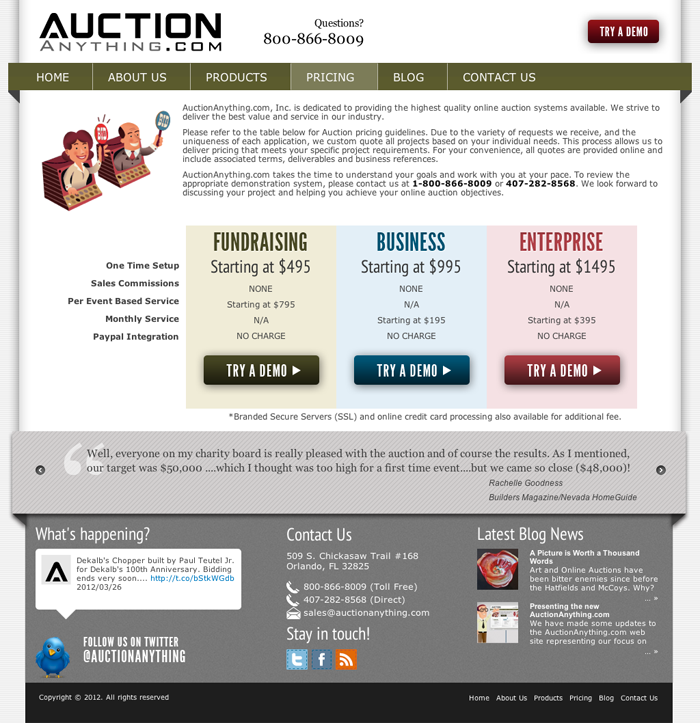 Using some retro imagery and evoking a good old-fashioned auction event where people have to compete quickly or lose out, we kept their logo but infused the site with a mix of modern, masculine patterns blended with vintage colors and graphics – it definitely makes an impression now!